English: Yellow-quilled leafbird; French: Verdin a ailes jaunes; German: Philippinenblattvogel; Spanish: Verdín Amarillento. 7.5 in (19 cm). Unique among genus in both sexes lacking clearly defined head pattern. Green plumage with lighter, yellowish throat and yellow eye ring. Philippine Islands of Mindanao, Cebu, and Leyte. Possibly extinct on Cebu. Canopy of forest and forest edge, from sea level to 4,900 ft (1,500 m). Unlike some other leafbirds, very inconspicuous. 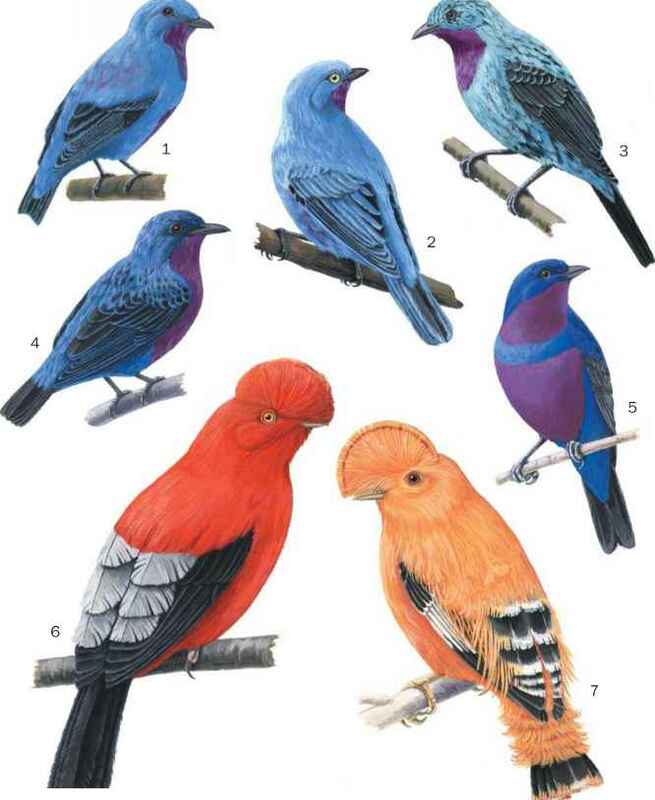 Individuals or pairs, restricted to forest canopies.